Get an ideal gift for your loved ones! If you don't know the difference between ACU or BDU. How to choose a right tent or what the MOLLE system is and you want to buy a practical present for someone who is an outdoor or military lover then a milworld gift card is an ideal solution! We offer the folloing values of the giftcards: 11€, 23€, 34€, 58€, 116€. 3. 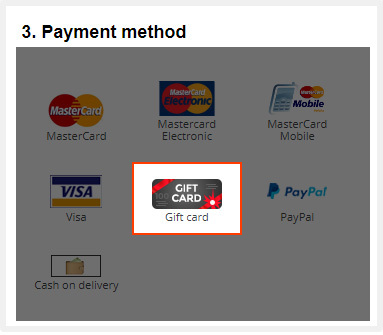 Provide a 16-digit number from your gift card and a PIN number which you should have received to your email address. 4. You do not have to use up the whole value of the card at once. 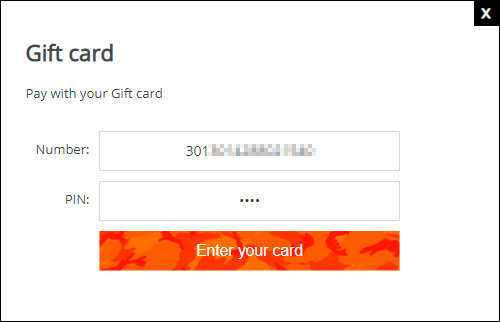 If your order is bigger than a value of your gift card then you can pay the outstanding amount using any other payment method of your choice.